Note: Only Super Admins/Admins/Team Leads can do this (for documents they have permission to see). 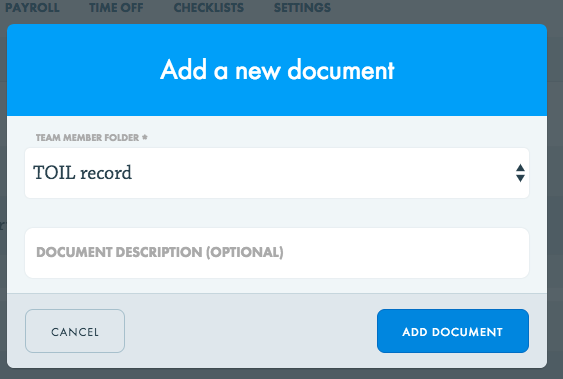 With Charlie you can store all the essential information directly on a team members profile. We also allow you to select who can view and edit these files. Go to the individuals profile from the People page, or by using the search bar. Head to the documents section of their profile. Select the 'Add document' option. Use the 'Add document' button to save the changes.